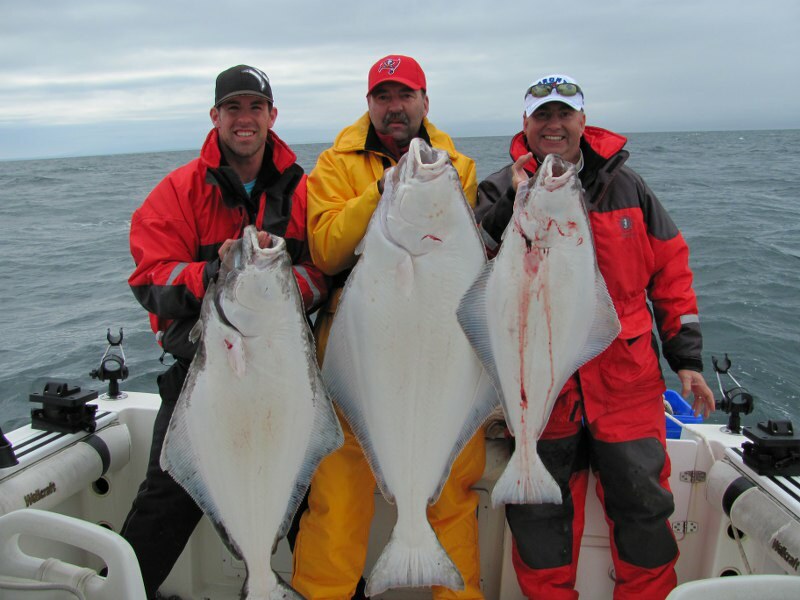 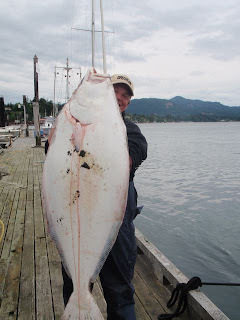 Gord from Foghorn Charters has been having some fishing luck lately around Victoria: "halibut and salmon fishing are good, seeing limits for both. 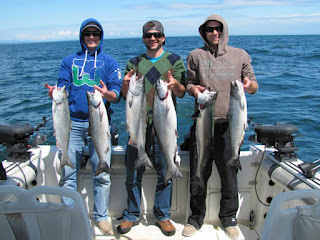 Gotta love hatchery fish! Here is a couple photos of some happy customers." 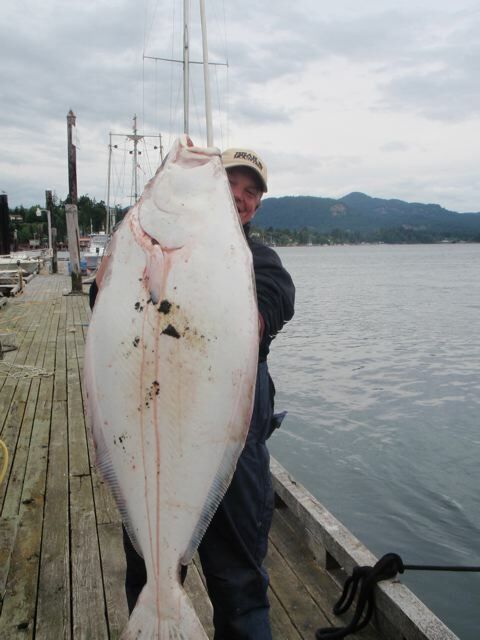 And here's Dave Yakimovich with a 101 pound halibut caught at Jordan River last weekend. 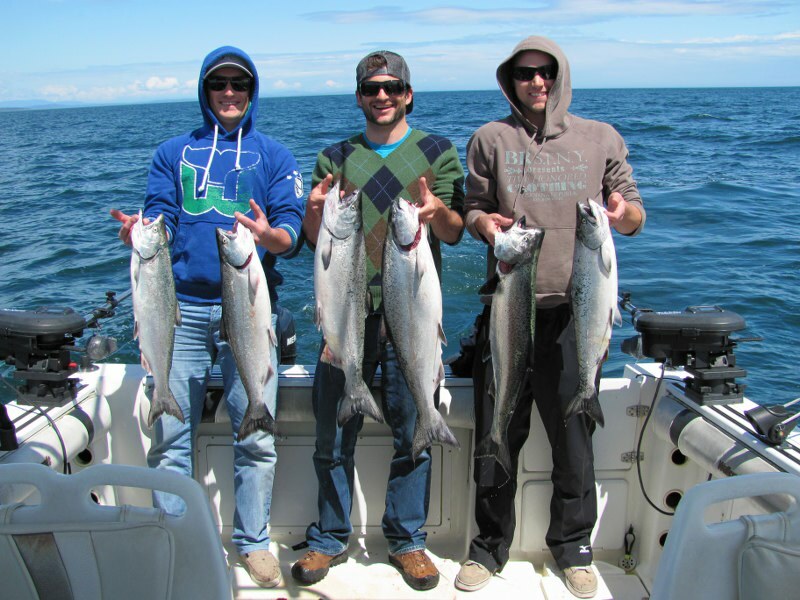 The fish are out there, so now get out there and get some!